Watch the age-old fairy tale of Cinderella come to life again, but this time, through the eyes of an inquisitive reporter. 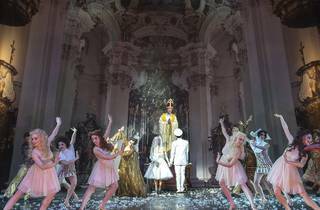 This new musical production is jointly staged by Resorts World Sentosa and Belgium's Music Hall, and adapted from a show called Assepoester, Het Tamelijk Ware Verhaal that was first staged in Europe in 2013. Classic elements such as the ball, pumpkin transformation and the glass slipper remain, but our pretty protagonist is also encouraged to face up to her own responsibilities in this more down-to-earth version.